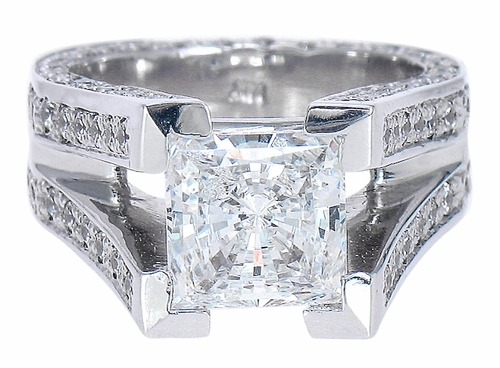 Our Metropolitan 2.5 Carat Princess Cut Cubic Zirconia Pave Split Shank Engagement Ring features a radiant 8mm princess cut square center stone. The Metropolitan Princess is for the modern woman who is not afraid to flaunt her style! 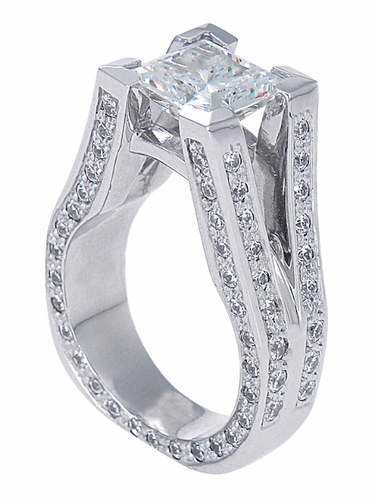 The 2.5 carat princess cut square is expertly set in a couture styled high fashion mounting at a maximized height of approximately 12mm off the finger. 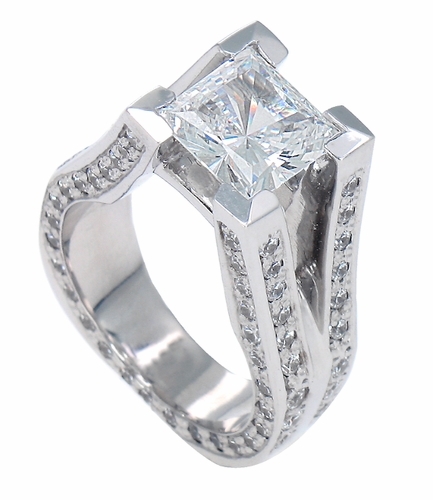 Additional pave set diamond look cubic zirconia rounds further enhance the vertical sides of the ring's shank, all the way around the shank and three quarters of the way down the horizontal sides of the band. This ring measures a finger size 6.5. The band measures approximately 7mm in width just before the band splits and approximately 10.75mm at its widest point. 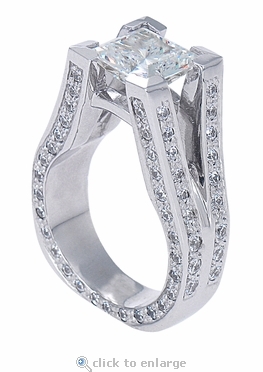 The total carat weight is approximately 5.5 carats of the finest original Russian formula hand cut and hand polished diamond quality cubic zirconia.